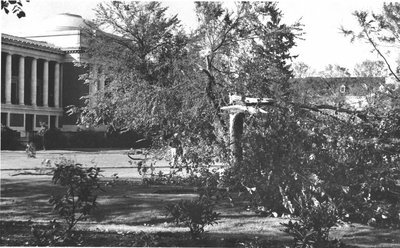 On Columbus Day in 1962 (October 12th), a severe windstorm (75 mph sustained winds) moved inland from the Pacific Ocean and caused $50,000 damage to the OSU campus. 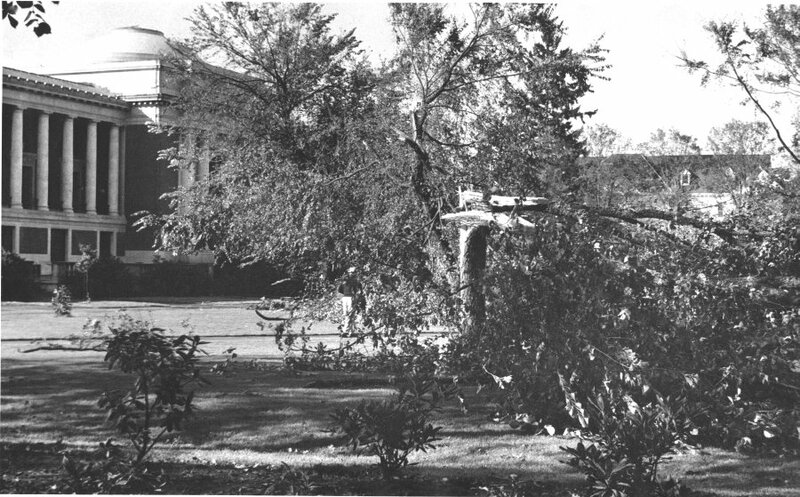 Fifty-five trees were destroyed and another 43 were damaged, including many in the Memorial Union quadrangle. “Columbus Day Windstorm Damage, 1962,” Special Collections & Archives Research Center, accessed April 25, 2019, http://scarc.library.oregonstate.edu/omeka/items/show/9526.